Customized projects for experimental setups, advanced training and beyond. Courses and hands-on training in experimental methodology (e.g. histology, immunolabeling techniques, live cell labeling) as well as in different microscopy and imaging methods (e.g. widefield and confocal microscopy). 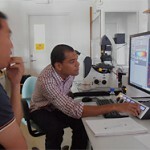 Courses in confocal microscopy and live cell imaging are presently given on a regular basis. Customized courses and hands-on training can be organized on demand. 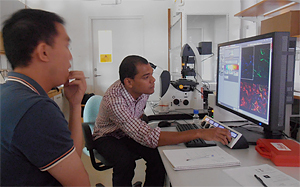 In-house support: we are presently contracted to support two confocal microscopy facilities at Lund University. Customized projects: project support according to the customer’s specific needs.